In truly small spaces, the layout of a room almost feels like a game of Tetris: there has to be an area for storage, a place to sleep, and a spot to lounge. And as for where to eat? That's something that gets improvised along the way — usually over the coffee table. When square footage is at a premium, dining tables may seem discretionary. But if you're aiming to win this game, then it's time to get creative. While the massive tables in larger homes are a definite no in tiny apartments, there are smaller designs that are compact enough to fit almost anywhere and pull double-duty as workspaces. Here are our 12 favorites. 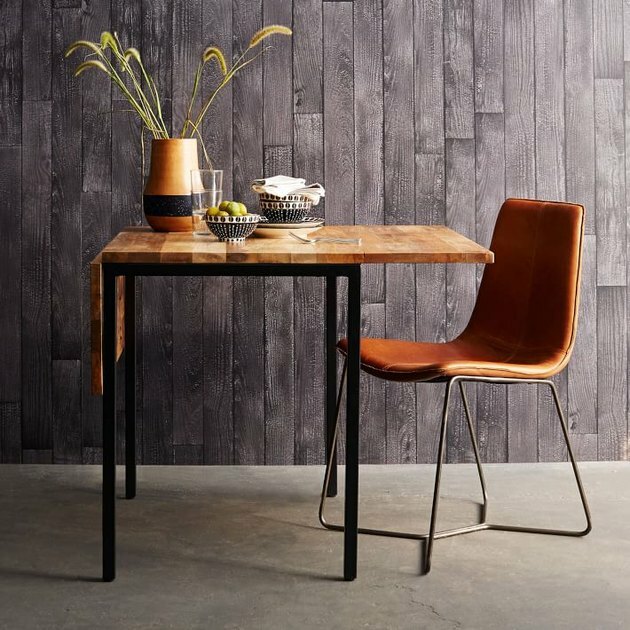 This versatile table from West Elm ( $499 ) can seat one — or six — with a flip of its two side leafs. Mango wood and a burnished bronze-hued steel frame keep it from looking too utilitarian. Instead of folding down to a square shape, the leafs in this design found at Overstock ( $229.99 ) fold lengthwise to create a slim rectangle. When it's not in use, slide the table to a wall and use it as a console. 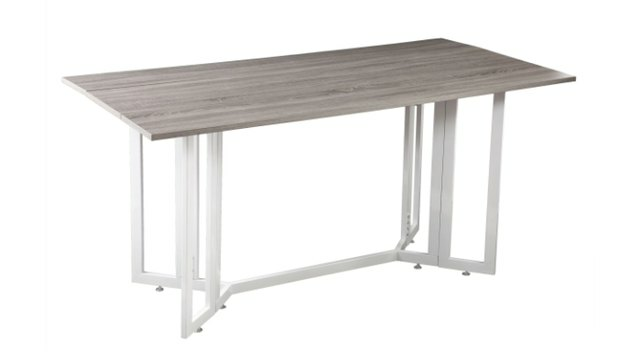 Like the above design, the leafs in this table from Target ( $179.99 ) fold lengthwise. However, this one is a little smaller at 40 inches, and when it's open, it has a square shape rather than a rectangle. The X-base is also a great choice if you're going for the urban farmhouse look. 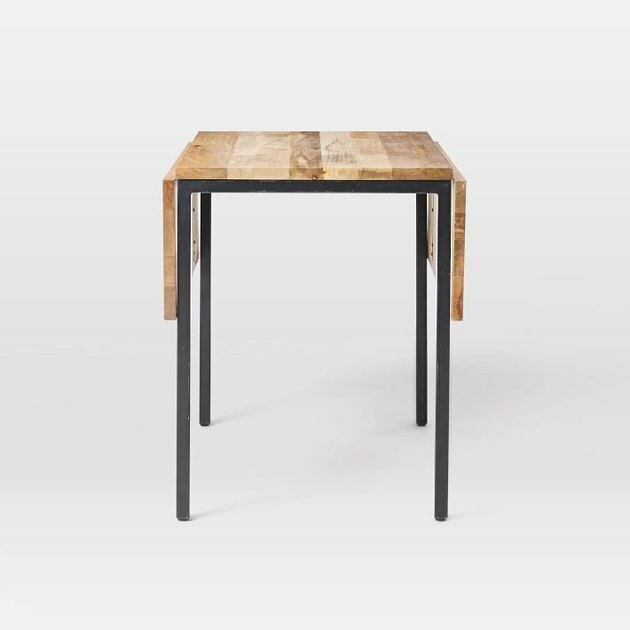 A simple 32-inch square is roomy enough for most dining options, and this pick from Overstock ( $174.99 ) can meet the bare necessities with style. The metal frame works in both modern and eclectic decor schemes. 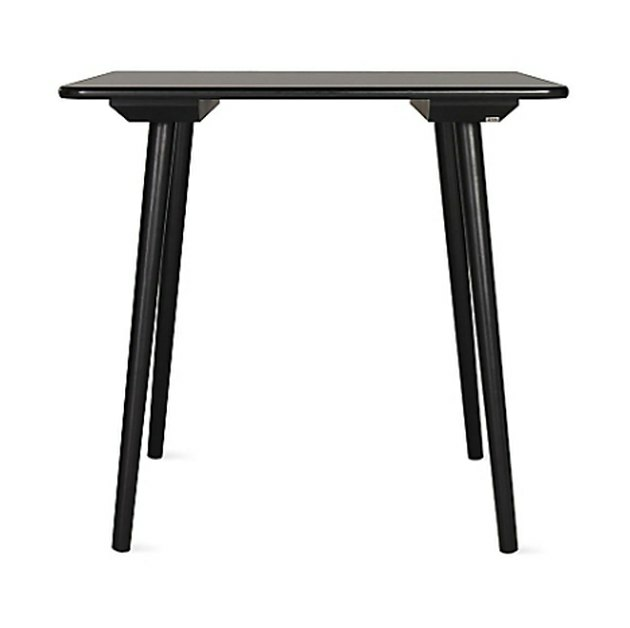 If you only need room for two, a cafe table like this one from West Elm ( $249 ) will suit your needs just fine. 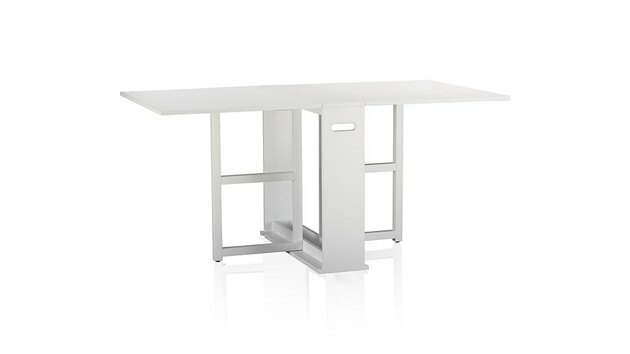 Its three-legged base offers plenty of support without getting in the way while seated. 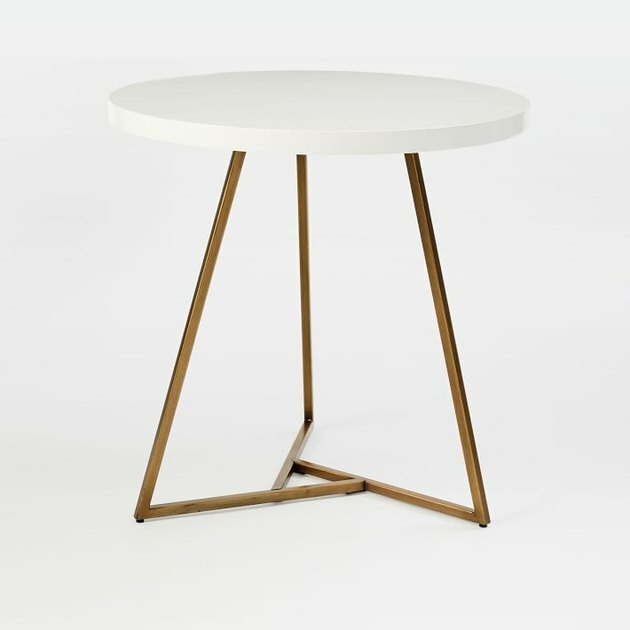 Though it has a petite dining surface that can technically accommodate up to four, it's the pedestal base that makes this bistro table from CB2 ( $499 ) a standout. When not in use, it can slide right next to the sofa. For super-tiny apartments, take inspiration from cafes and opt for a counter. 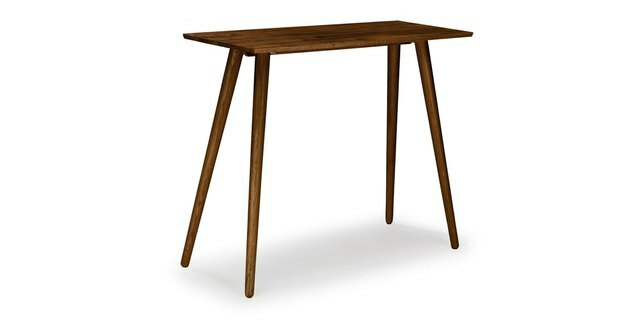 This solid black walnut bar table from Article ( $399 ) is the next best thing to installing one yourself, with its midcentury-inspired design and 19-inch surface. Slide it up next to a window, or use it as a room divider. Actually, you can go one step further than a counter-like table to really maximize space. 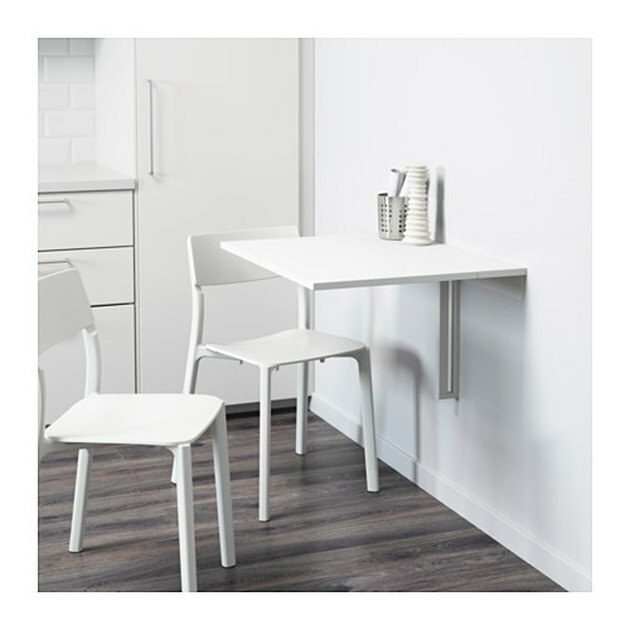 This wall-mounted table at Ikea ( $39 ) can seat two when open, but folds down when not in use. 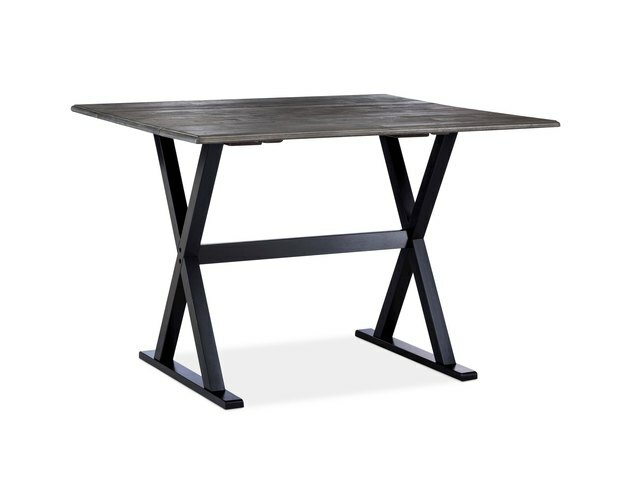 First introduced in the 16th century, a gateleg table has been a classic space-saver. This update on the traditional style by Crate and Barrel ( $299 ) may seem a bit basic, but you can dress it up with the right chairs. Besides, its biggest draw is the fact that it can fold down to roughly the size of a small filing cabinet. 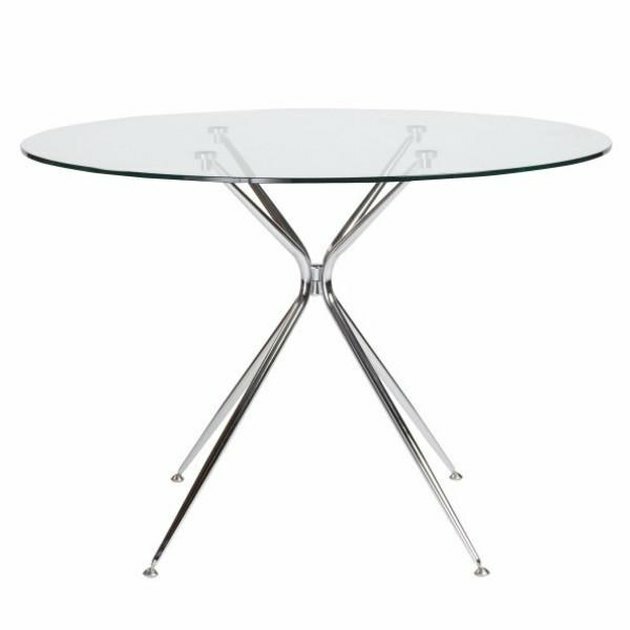 Chromed steel legs gracefully support the tempered glass top of this option from Apt2B ( $548 ), making for an ultra-modern look. This 42-inch pick would work in a room that doesn't have a lot of light, so that what does come in is reflected throughout the room. 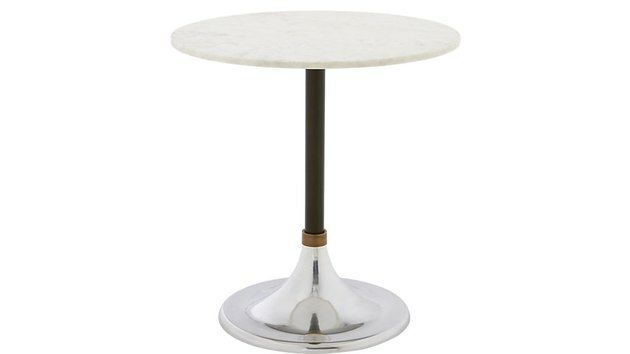 This simple table by designer Tom Kelley at Design Within Reach ( $635 ) is lightweight and appropriately compact. Plus, its bolder silhouette will make a statement in either black or white. 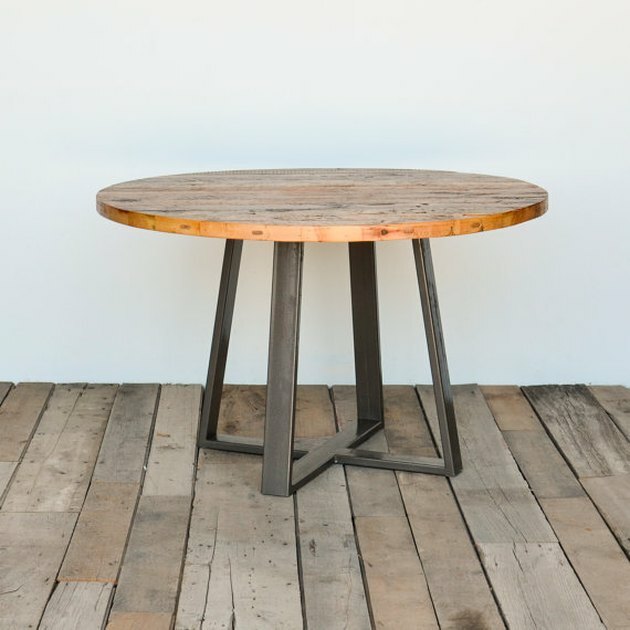 A top made of century-old wood makes this handmade design by Urban Wood Goods ( starting at $925 ) a truly special piece. 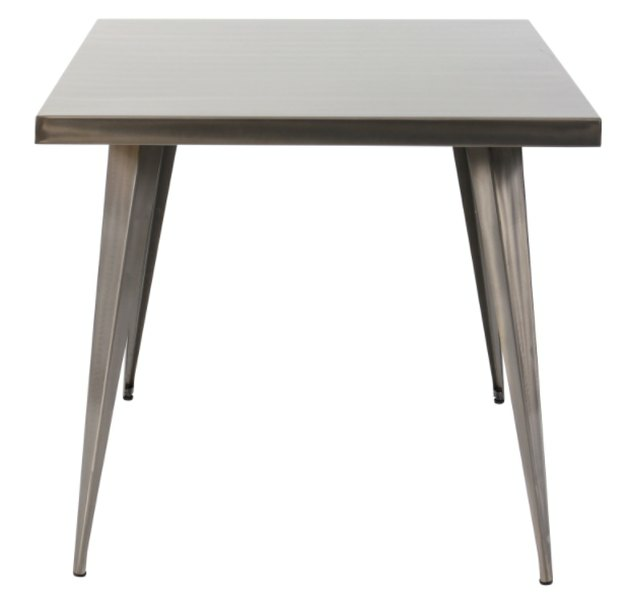 You can order it in a number of sizes, starting at 36 inches, with either a plain steel base or one in a custom color.